Exclusive On-line Website: On August 20, 2016 this class will go live on my exclusive class site. You will have instant access to all 5 projects, Mini PDF Tutorials and Video Tutorials. A chat thread for questions about the projects. If you won't be home on the live class date no worries! The class is RECORDED so you do not need to be present on the date to participate. You'll have access to the class for a year from the live class date. Create at your own pace!! Mini PDF Tutorials: You will receive access to 5 Downloadable Mini PDF Tutorials. Each Mini PDF includes 1-2 full colored photos of each project, along with cutting dimensions, supply lists, tips, and step by step instructions for assembly. Video Tutorials: You will receive access to 5 Video Tutorials; demonstrating how to create each project. If you are like me, visual is what I need! Watch in the comfort of your own home any time!!! New Customer Rewards Program: This class qualifies for my new customer rewards program! Purchase a total of 14 classes and receive $5 off your 15th class. Read about my Customer Rewards Program HERE. 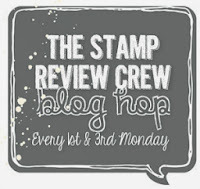 Shop on-line for any of these additional products through my Stampin' Up! On-line Store and qualify for my monthly customer promotions with qualifying orders HERE.